​​​​​​​​​​The benefits of video marketing have gone through the roof in recent years, but is video marketing the new black? I believe it is! You might be resisting using video to market your business, but video marketing for small businesses has become a very effective strategy for those who have embraced it. Times have changed my friends, and it's time to add video to your content marketing repertoire. Did you know that YouTube is the second most popular site on the web? You read that right! Youtube is second only to Google in the most visited sites on the web. Video can be a great tool to enhance and improve your Social Media Marketing, Website Design, Email Marketing, and any of your other marketing channels. It's pretty simple, video marketing is using and incorporating videos into your small business marketing campaigns and strategy. It can be used to engage with customers, promote brand awareness, introduce products and services, and the list goes on and on. Wyzowl's State of Video Marketing in 2018 survey reveals interesting data about how videos can impact your marketing efforts. Here are some of the most compelling stats from the survey. 76% of marketers say video has helped them increase sales and traffic. Need more convincing? Here are a few more video marketing stats from Hyperfine Media. Even if you have resisted using video marketing up to this point, you've got to admit at least a few of these stats are pretty compelling. Incorporating video into your marketing can make what you already do even better! Video marketing can be used in a number of different ways to educate, inform, and create new customers. Here are some of the more common types of videos businesses are using to help market their business. Brand videos are commonly used to create and increase brand awareness. These videos will usually provide information about what a brand is all about and why people should care. Educational videos typically provide information about a specific topic so the viewer can learn and become more knowledgeable on the subject. For example, as a digital marketing agency, we might create an educational video about content marketing. These videos are really cool. Some local businesses use them for their Google My Business listings so that potential customers can view a 360-degree video of their entire location. Realtors use them for virtual tours so potential buyers get a complete look at a house. Product videos usually introduce a potential buyer to a specific product. What's the product look like? What are the benefits of the product? How does the product work? These are similar to brand films, but they focus on company culture. Many companies will use these to help attract potential employees by providing them more information about the company and what it's like to work there. Written customer testimonials are good, but video testimonials are even better! There's nothing like watching someone on video discussing the benefits of your product or what it's like to work with your company. A lot of companies will use FAQ videos to address commonly asked questions people have. It's a great way to answer objections ahead of time in a very engaging way. How do I actually use or put together the product I just bought? Sure I've got written instructions, but some companies are taking things a step further and shooting video to help too. Facebook generates 8 billion video views on average per day which means people are really responding to video content. Videos are more engaging and attract people compared to other forms of content. They're great at connecting with people and helping them get to know your brand. With the right video content and marketing strategy, your brand can spread like wildfire. Looking for some other branding ideas? Here's a must-read article about business branding ideas to help you stand out. Without an online presence, it's pretty difficult for most businesses to survive let alone thrive. Video marketing can increase your online presence by making your content more engaging and easier to consume. Videos encourage viewers to click a subscription link or visit a website. When people like what they see, they spread the word by clicking the share button. Effective video marketing content will help your small business become a prominent online entity. As humans, we hate interacting with robots. Often times a brand remains anonymous to our eyes because we see very little human representation. Video eliminates this barrier. It puts a face or faces to the name which most customers prefer. Video allows people to hear and see you, which connects with people at another level compared to other types of content. Everyone posts images or writes articles on social media, but how do you stand out from everyone else? By creating engaging videos. Engagement is very important in the digital marketing world. If your content doesn't drive engagement, traffic and conversion will suffer. Videos promote social media engagement. If you produce relevant and educational video content that speaks to your ideal clients, I guarantee you'll see an increase in your social media engagement. We have already established that customers are more likely to buy a product after watching a video. What really triggers this? Trust. Videos connect you and your audience in a more personal way compared to other forms of content. And we all know people do business with those they know, like, and trust. Creating and editing videos isn't as hard as you might think. There are businesses creating pretty professional videos with a smartphone, a mic, and some basic video editing. Don't get me wrong, there are some types of videos where you will need the help and assistance of a professional. You don't want the branding video for your company looking like a home video. But, there are a lot of videos you can create in-house or with minimal assistance. You can get very professional intro's and outro's made to include in your videos from sites like Fiverr for under $20. If you don't have the ability to edit your own videos, you can easily find freelancers to help that won't break the bank. You don't have to pay for video editing software. Here are some of the best free video editing software programs. Use your smartphone when you are just starting out. Here are 10 tips for shooting better video with your smartphone. Videos promote brand awareness, improve online presence, humanize a brand, boost engagement, build trust, and can be inexpensive and easy to produce, but the ultimate benefit of video marketing for small businesses is creating sales. Video marketing WILL help increase sales for your business...give it a try and see what happens. ​​There you have it. Those are 7 benefits of video marketing. With the right strategy, video marketing for small businesses can have a positive, lasting impact on your business. What do you think? Did you find this information helpful? Feel free to comment below or share. Marketing for small businesses can be difficult task to achieve when they are almost unknown or newly launched. Making professional and informative video can help in promoting small businesses in very cheap rates and there are great options in video marketing to spread your message. Thanks for the comments Aaron. I completely agree. Video marketing can basically increase engagements for your business which can help to increase your branding. the video types suggested for small businesses is very useful for me personally. nowadays online presence can make great impact. 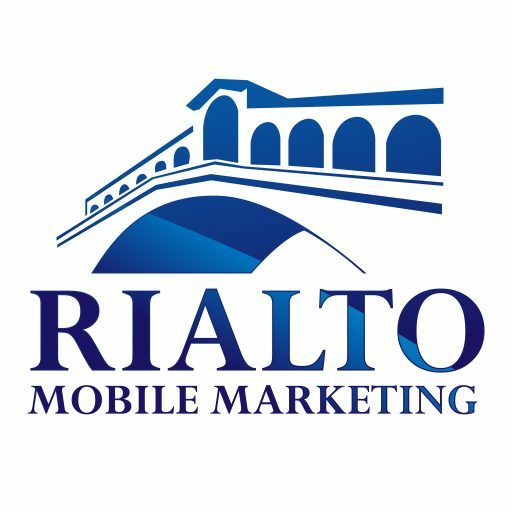 Thank you riatomobile for sharing this post. Thanks Tim for the great insight. Video marketing has had a tremendous impact on our business over the past year. It has increased our SERP and our CTR, and most importantly our bottom line. That’s great to hear Amy. Thanks for sharing. Glad you liked it Sahaj. Thanks for the comment.